Commercial landlords are expected to get a lot tougher as office vacancy continues to drop in 2018 across Melbourne, Sydney and Brisbane. A recent survey conducted by Cushman & Wakefield revealed that it is indeed a landlord market in Melbourne and Sydney -- with only 33 per cent of landlords saying they were flexible when it came to office tenancy negotiations. , compiled the sentiments of 135 people made up of a mixture of office tenants and landlords. This positive-landlord sentiment was more prevalent in Sydney and Melbourne, while survey participants felt tenants were benefitting from stagnant rents in the Brisbane office market. Brisbane's "tenant market" may be short-lived however with recent figures forecasting a 16.5 per cent growth in the coming years. report released last month which revealed that Brisbane is on track to achieve double-digit prime rental growth by year-end 2020. Lack of flexibility was nonetheless attributed to the decrease in expected vacancy in all markets. Cushman & Wakefield’s report said in Sydney and Melbourne, where vacancy is already relatively tight, the contraction was expected to be more muted than in Brisbane where a decline of 300 basis points was expected over the next year. Those surveyed expect both Sydney and Melbourne to become tighter, and two thirds of respondents expected rents to continue tracking upwards by at least 5 per cent over the next 12 months. Consistent with Australia’s continuing growth trend of service-sector based employment, information, media and telecommunications was considered the most active sector in Sydney and Melbourne’s office market. 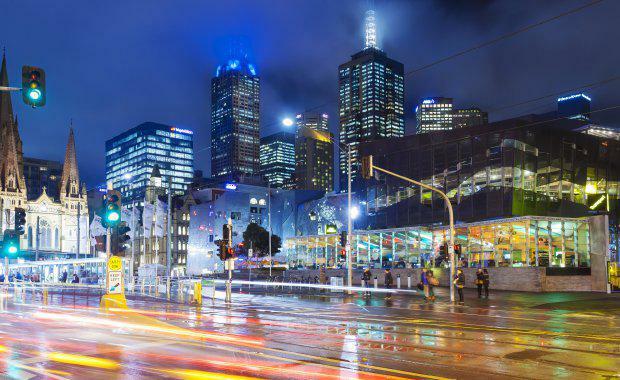 In Melbourne the expected demand from the finance and insurance sector did not materialise as strongly as expected, with both landlord and tenant representatives noting a relative decline in demand. On the upside, government demand was stronger than expected with NBN and NDIA both cited as active government agencies requiring space. Around 57 per cent of tenant representatives in Brisbane expect to see strong demand from engineering services in 2018. What do tenants want in an office? Cushman & Wakefield reported that the typical elements drove office preference across the three states. “There are three tiers of important leasing attributes for tenants. Tier one includes financial and locational considerations, while tier two has a focus on building attributes. A growing trend across the commercial sector was to consider the WELL Building Standard, amongst other sustainability initiatives and standards. The WELL standard was launched in 2014 as a way to promote human health and well-being in the workplace by changing the way people design and think about buildings.